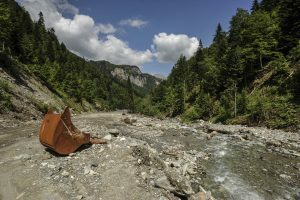 Hydropower has long been sold as a renewable and sustainable alternative to fossil fuels, but this myth could endanger Kosovo’s rivers and destroy its national parks. A short video of a small fast flowing river cascading downstream, surrounded by lush green forest, is captured on camera. This idyllic shot, taken near Decan, a town on the cusp of Kosovo’s biggest national park, does not last long. As the camera turns slowly, the river is suddenly gone and trees and rocks are all you can see, bone dry, as if by magic. The camera pans down and the trick is revealed: a huge metal grille built into the river. The water supply pours down the grille and disappears, leaving nothing behind. Adriatik Gacaferi, a Decan resident who took the video, claims that the company which built these grilles for hydropower plants in the region has caused irreversible harm. Kelkos, the company that constructed three hydropower plants in Decan, maintains that all construction not only conforms with, but exceeds the level of environmental protection required by European Union standards. The Kosovo government has pledged to utilize both new and existing hydropower, the process of siphoning water to generate electricity using Kosovo’s rivers, to its full potential, as part of their promise to rely on 25 per cent renewable energy for electricity by 2025. However, this is being challenged by environmental conservation organizations in Kosovo and the Balkans, as well as people like Adriatik who live in the affected areas. They are working to hold governments accountable for failing to properly consider the impact that this “sustainable” alternative to coal and fossil fuels is having on rivers and those that rely on them. Despite positive decisions from the Ministry of Environment and Spatial Planning, MESP, to halt construction and conduct investigations into their sustainability, Environment Minister Albena Reshitaj is already facing pressure to change her decision. The government’s aim to provide a quarter of the country’s energy through renewable sources relies heavily on hydropower to secure the growing demand for electricity and curb unsustainable electricity imports. Ellen Frank, Founder of the Environmentally Responsible Action Group, ERA, an environmental NGO based in Peja, does the math to explain how they will reach that goal. Ellen Frank, Founder of the Environmentally Responsible Action Group, ERA, an environmental NGO based in Peja. | Photo: Atdhe Mulla. “Let’s say that Kosovo develops all potential hydropower sources in the country, which is every single river it has,” said Frank. “Kosovo is currently already using 48 per cent of its hydropower potential, which generates 2.2-2.4 per cent of Kosovo’s energy requirements,” Frank explains. Even if the government used 100 per cent hydropower potential by extracting from every river in Kosovo, Frank explained, by 2025 hydros would produce only 5 per cent, not the promised 25. Frank, an American, has lived in Kosovo since 2003, when she organized the first crossborder hiking trails between Kosovo, Albania and Montenegro and established the ERA. She began looking into the issue of unsustainable hydropower last year. Yugoslavia had a long history of constructing hydropower plants throughout the Balkan region since the 1950s, beginning in Kosovo with Lumbardhi in the west and Ujmani in the north, the country’s largest power plant. Before the breakup of Yugoslavia the government already had plans in place to construct additional hydropower. After the war, the Kosovo government not only continued with these plans, rehabilitating the plants between 2005 and 2010, but expanded them, outlining the potential for every river in Kosovo to be used to generate hydropower, Frank explained. There are currently 87 planned projects involving hydropower in Kosovo alone, with more than 25 existing plants constructed in protected areas, according to the “Save the Blue Heart of Europe” campaign report, with the potential to damage rivers irreversibly. Four other hydropower plants are currently the subject of an investigation involving a number of government ministers, who reportedly engaged in abuse of official duty by secretly privatizing the plants along with the Kosovo Energy Distribution Service, KEDS, in 2013. Frank explained that hydropower, despite being considered by many as a sustainable alternative to coal or other fossil fuels, is only quasi-renewable, reliant on rain cycles and snowmelt. 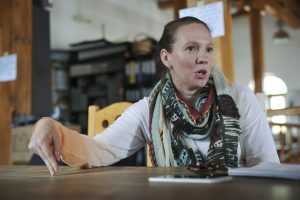 “A lot of water is not renewable in the slightest — if it’s groundwater, the resource is like petrol, once you take it, it’s gone,” she said, adding that hydropower in Kosovo is drawn from both freshwater and groundwater sources. Frank emphasized that extracting water from the rivers at incredibly high quantities can cause significant and permanent damage to the river, its sources and its whole ecosystem. “This year, for the first time in history, 30 meter deep groundwater wells, usually refilled through the flow from the river in Decan, are dry and have remained dry,” she said. Bistrica. | Photo: Atdhe Mulla. Frank hopes this will be enough to fuel public debate and garner support from local civil society to prevent any further construction. “It was never in the news, but as a result of building hydropower, they lost fresh water to certain villages in Decan,” Frank said. This was brought to light after the regional public water supply company, Hidrodrini, made complaints in 2013 and 2014 to the MESP that they had lost two different sources of fresh water completely. A MESP report of an investigation following the complaint confirmed the water loss. The river disappears in the hydro power plant in Decan. | Photo: Atdhe Mulla. Environment Minister Reshitaj promised to suspend further construction permits after she discovered that the last research measuring Kosovo’s water supply above and below ground was conducted in 1984, and these were still being used to authorize construction today. “Without having correct information, we cannot even think about giving or not giving permits because we violate the law and the fundamental right of citizens to have a healthy life and… we violate the rights that are [guaranteed] by conventions,” Reshitaj said. Environmental organizations have stressed that the discussion needs to move away from how Kosovo can reach its 2025 target with hydropower, towards how economic development can be continued in the most sustainable manner. Other than hydropower, the Energy Strategy aims to rely on biomass, solar and wind power to meet renewable energy demands. However, the Energy Strategy reads their contributions as minimal. The Strategy also seeks to “simplify” the authorization procedures for hydropower plants and other renewable energy sources. Frank envisages that with these plans in place, it will become more difficult for Reshitaj to keep her promise and prevent further construction, with pressure from her political party and investors. 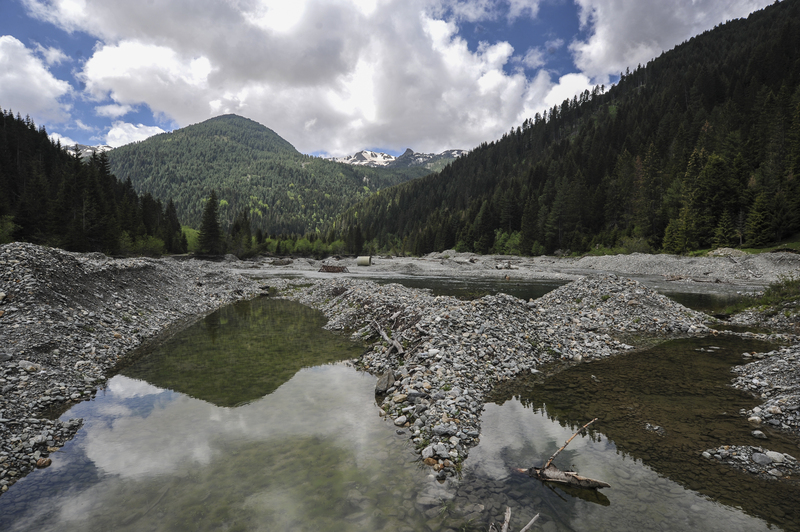 In March, authorization for construction of a hydropower plant in the Llocan gorge, near Decan, was revoked on the minister’s initiative and following increased public pressure from civil society. On May 10, a letter addressed to the Prime Minister, the Minister of Agriculture and the Minister for Environment from the Kosovo Chamber of Commerce claims that all laws relating to the ecological flow of water resources in Kosovo have been complied with, and asks for the revocation of Reshitaj’s order. “The authoritative order to temporarily suspend the operation of hydropower plants needs to be revoked as soon as possible, and water approvals for BRE projects [construction sustainability assessment] and the allowance to review requests for correcting capacities of water permits should be allowed,” the letter obtained by BIRN reads. However, Reshitaj emphasized that suspending operation would, in the long run, be beneficial for Kosovo. Adriatik Gacaferi walks around the vanishing river of Bistrica. | Photo: Atdhe Mulla. ERA is in the process of investigating the existing hydropower permits, including Decan, and whether continuous review of the sustainability of the plants’ operation is being conducted, as required by law. “In some cases, if it’s obvious that they [those running the plants] are not following the law and not complying with their permissions, it only makes sense that their authorizations are to be revoked,” said Frank. Since February this year Kelag has failed to renew licenses for the plants in Belaje and Decan. One plant in Lumbardhi, ran by Kelkos since 2009, is currently the only plant that is legally producing hydropower. The others continue to do so without permits. 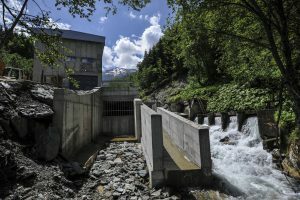 In an email to KOSID, the Director of Kelkos, Georg Woeber, stated that “the environmental standards, which we have applied with our first Hydropower project in Kosovo in Decan, exceed existing legislative requirements and are in line with European standards of environmental protection,” emphasizing the sustainable nature of their construction of hydropower plants. When asked about the licenses, the company did not reply. Despite agreeing that further study is essential to understand Kosovo’s hydro capacities, Reshitaj is skeptical as to whether she herself has the political power to make it happen. “There has to be a feasibility study for the capacities, and I expect the experts to tell us when it can be done, I cannot say that I can initiate it, or push it politically,” she said. Frank is sure that raising public visibility of the potential damage hydropower will help to protect these sites. “The more people are aware, the more the government will be held to account,” Frank emphasized. “As much as possible, we have to show that this is a huge collective problem, not something that is individual. We want to follow the process and make sure it’s done properly, for the environment and the people of Kosovo.